A few people make security-related internet memes. Fewer write song parodies. Fewer still limericks or poem parodies. Even fewer than that make animated videos, or clothing designs. 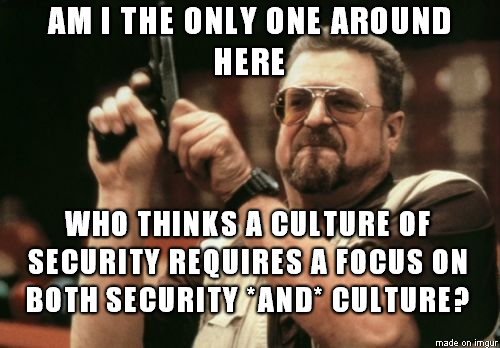 I see a lot of people doing security, but not so many making culture about it.